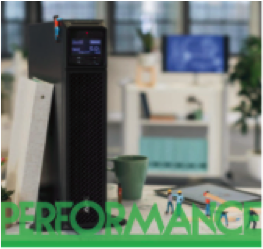 Accelerate your growth with our special on Edge Computing solutions, now up to 15% off. Today’s IT landscape is ripe with opportunities for Edge Computing. By 2019, 43% of data generated by IoT technologies will be processed at the edge of a network. * With this rapid development of bandwidth intensive content, there is an increasing need to address key customer pain points such as latency, security and monitoring. Leverage this opportunity and offer competitive Edge solutions to your customers now. Not yet a partner? Not a problem. Register here today and complete the Edge Computing online training. Plus, when your customers purchase any of these products, they will get the chance to enter the draw to win a luxurious adventure to the Abu Dubai Grand Prix where they can watch the race on top of a super yacht! Not yet a Select Partner? Don’t miss out on your opportunity to use this tool and participate in this offer, simply log in to the APC Partner Portal and complete the Edge Computing for Sales Associate training today. Only available to Select, Premier and Elite level APC Channel Partners. Only APC approved deal registered opportunities will qualify for the ORP discount. Not a Select Partner? Log in or register and complete the Edge Computing for Sales Associate training to gain access to the LEC tool and ORP discount program. Not a part of the APC Amplify Rewards program? Register here or in Partner Portal. LEC Configuration must be submitted to APC within 7-days of ORP approval. As an APC Partner, you are responsible for completing the LEC Configuration. The LEC tool provides simplistic parts validation, it is ultimately your responsibility as a partner to ensure that the solution is fit for purpose and meets your customer requirements. Access to the Local Edge Configurator Tool (and thus this promotion) is limited to APC Select, Premier and Elite Partners. APC Opportunity Registration may be completed via PRM, APC Partner Support Team or by your nominated distributor. In the event there is a system issue with PRM, a manual override form will be accepted. The solution may be ordered via distribution as normal; there is no need to order as an ISX configuration. However, this option is available if required. Applicable to the following SKUs: SMT750I, SMT1000I, SMT1500I, SMT2200I, SMT3000I, SMT750RMI2U, SMT1000RMI2U, SMT1500RMI1U, SMT1500RMI2U, SMT2200RMI2U, SMT3000RMI2U, SUA5000RMI5U, SUA750RMI1U, SUA1000RMI1U, SMX750I, SMX1000I, SMX2200HV, SMX3000HV, SMX3000HVNC, SMX1500RMI2U, SMX1500RMI2UNC, SMX2200RMHV2U, SMX3000RMHV2U, SMX3000RMHV2UNC, SURT1000XLI, SURT1000XLI-NC, SRT2200RMXLI, SRT2200XLI, SRT2200RMXLI-NC, SRT3000RMXLI, SRT3000XLI, SRT3000RMXLI-NC, SRT5KXLI, SRT5KRMXLI, SRT5KRMXLW-HW, SRT6KXLI, SRT6KRMXLI, SRT8KXLI, SRT8KRMXLI, SRT10KXLI, SRT10KRMXLI, SURT15KRMXLI, SURT20KRMXLI, SRTL1000RMXLI, SRTL1000RMXLI-NC, SRTL1500RMXLI, SRTL1500RMXLI-NC, AR100, AR100HD, AR201, AR203A, AR204A, AR3100, AR3104, AR3105, AR3107, AR3140, AR3150, AR3155, AR3157, AR3200, AR3300, AR3305, AR3307, AR3340, AR3347, AR3350, AR3355, AR3357, AR4000MV, AR4018IA, AR4024IA, AR4038IA, AR4703, AR2400, AR2400FP1, AR2401, AR2407, AR2480, AR2487, AR2500, AR2507, AR2580, AR2587, AP7526, AP7551, AP7552, AP7553, AP7554, AP7555A, AP7557, AP7586, AP7585, AP9559, AP9565, AP9568, AP9572, AP9569, AP6003A, AP6009A, AP6015A, AP6020A, AP6032A, AP6038A, AP6120A, AP7820, AP7821, AP7820B, AP7821B, AP7822B, AP7850B, AP8853, AP8853X678, AP8858, AP8858EU3, AP8881, AP8886, AP7922, AP7920B, AP7921B, AP7922B, AP7950B, AP8953, AP8958, AP8958EU3, AP8959, AP8959EU3, AP8981, AP8453, AP8459EU3, AP8459WW, AP8481, AP8653, AP8659, AP8659EU3, AP868. No other discount is applicable with this promotion (no stacking).